Your retrospections must be so totally void of reproach, that the contentment arising from them is not of philosophy, but, what is much better, of ignorance. Mr. Darcy says to Elizabeth in the new Penguin Classics edition of Pride and Prejudice, that, for the first time since the first edition Austen laid her eyes upon, brings to the reader her orginal words. Austen sold her rights to the first edition of Pride and Prejudice in 1812, and never again had any influence on the printed text. Throughout subsequent years various publishers edited, abridged, and even reorganised its structure according to the 19th century fashions. 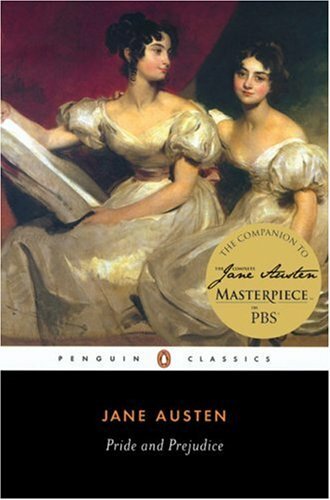 It was Chapman who first looked for an old copy and brought us our beloved Austen’s novel in the form we know it today. Yet, Chapman used Cassandra’s private copy, and while revising the novel applied her private notes. Penguin went further than that, and in their newest edition brings us Pride and Prejudice in the only form Austen has approved. Hence Mr. Darcy mentiones Lizzy’s ignorance rather than innocence, swiftly alluding to the underlying theme of the novel. There are also slight differences in punctuation and spelling, giving reader the feel of an 18th century novel. The whole is edited with an introduction, chronology and notes by Vivien Jones, and enriched with the original Penguin Classics Introduction by Tony Tanner.